Failure is a good thing. Yes you read that right “a good thing”. Life’s greatest lessons can be learned through failure. Go out there and have the courage to fail, you might just end up succeeding! Happy Monday! Platt Park is well known for the community. As a very family friendly, walk-able neighborhood there are tons of activities to choose from throughout the year. Platt Park has a people’s association that meets periodically and organizes neighborhood activities. As an active member, there are organized happy hour gatherings to get to know fellow members and brainstorm new ideas for neighborhood functions. On top of the happy hours the committee has planned several other fun activities as the spring and summer months are upon us. In 1860 Platt Park was named after the founder of Platt Paper company, James Platte. It was incorporated as part of Denver South that was formed to limit the creation of more saloons and roadhouses in Denver. 1. How did you choose your neighborhood? Location is ideal for our lifestyle and family. 2. What is your favorite feature of your location? Pearl Street and ability to walk to Platt Park, Wash Park and all the other establishments. If you desire to know more about the Platt Park area please visit my website and click the “Communities” tab. If you have any neighborhood or real estate questions, I am always available at erin@ruleproperties.com or #303-324-1703. Stay tuned for next week’s neighborhood feature. From what used to be an agriculturally based town, Arvada is fast growing while still keeping its country roots. The area sits just North of I70, East of 93, South of 88th Ave and West of Tennyson St. Arvada’s commute to Denver, Broomfield and Boulder are short and the escape to the mountains is easy which is why so many people choose to live here! Arvada Olde Town is filled with tons of unique shops and restaurants and old cobblestone walk ways. Arvada also has one of the largest Cultural Arts Centers in the country. Being west of the city and on the way to the mountains, Arvada is home to so many great hiking and biking trails and parks that many residents enjoy utilizing. 1. How did you choose your neighborhood? We liked the proximity to the highway, the Highlands, Old Town Arvada and downtown. 2. What is your favorite feature of your location? It’s just really easy to get around! It’s also the safest and quietest neighborhood I’ve ever lived in. 4. Where is your favorite local spot? We like Silvi’s, Fuzzy’s Tacos and The Schoolhouse in Old Town. 5. Use one word to describe your neighborhood. Comfortable. 6. Is there anything else you wish to share about your neighborhood? The light rail station in Old Town is just 8 blocks from our house and it’s opening next year! We’re really excited about that! Oh, and Stubens is opening right down the street! There’s a fantastic library, yoga and farmers markets…We just love Old Town and feel lucky to live so close. If you desire to know more about the Arvada area please visit my website. If you have any neighborhood or real estate questions, I am always available at erin@ruleproperties.com or #303-324-1703. Stay tuned for next week’s neighborhood feature. 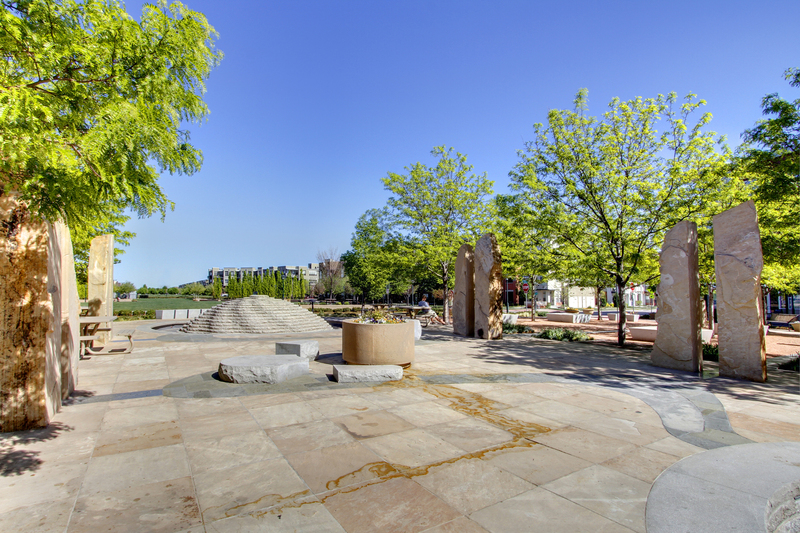 No matter where you are in Stapleton, you’re never more than five minutes from beautiful, green open space.The community’s 80-acre Central Park is the third largest public park in Denver and includes lakes, bluffs, trees, and walking paths. Stapleton is also full of pocket parks which connect your neighbors by shared spaces. There are 25 miles of jogging and cycling paths which connect to Denver’s 850 miles of bike trails. Stapleton is home to six Denver schools that are among the finest in the country. There are also four neighborhood public swimming pools, each with a unique and spectacular water feature. The wide variety of new homes at Stapleton is truly special, ranging from stylish townhomes to magnificent custom dream homes. It’s simply a great place to live, work and play. 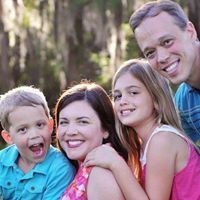 Please meet Stacey & David Bledsoe who thoroughly enjoy their neighborhood. 1. How did you choose your neighborhood? We were here for a house hunting trip and had heard lots of good things about Stapleton. We liked the vibe of the community, so it made it easy! 2. What is your favorite feature of your location? New construction – low maintenance. 4. Where is your favorite local spot? Jim-N-Nicks. I grew up in Birmingham, AL where Jim-n-Nicks is a local chain.When we were here on our HH trip, I saw it pull up on Yelp. I told David that there was no way it was the same Jim-n-Nicks, but sure enough…it was! Come to find out, Denver is the only western city where they have locations! If you desire to know more about the Stapleton neighborhood, please feel free to contact me. If you have any neighborhood or real estate questions, I am always available at erin@ruleproperties.com or #303-324-1703. Stay tuned for next week’s neighborhood feature. Cory Merrill is located just south of Denver’s Bonnie Brae neighborhood. The two areas share several key attributes, including the John Paul II Center, which is home to the Archdiocese of Denver. Popular Washington Park is within walking distance, where residents enjoy more than 160 acres that has long been a haven for joggers, tennis players, cyclists, dog lovers, and families who enjoy the great outdoors. 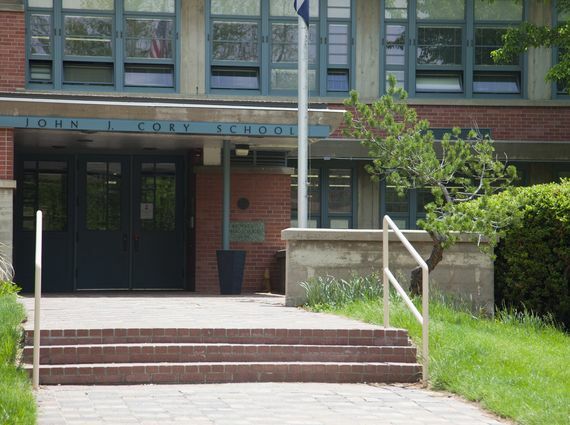 Named after the schools in the area, Cory Merrill was founded in 1858 as a dry town because the local citizens did not enjoy the saloons that were taking over the Denver area. CMNA, Cory Merrill Neighborhood association is thirty years strong and holds yearly neighborhood gatherings and events as well as addresses neighborhood interests. Close to Bonnie Brae and Denver’s famous Wash Park, enjoy nightly entertainment and great eats or take a stroll outside along the park. With tons of local restaurants and cafes near by, make it an adventure to try something new each week! Cory Merrill also has a light rail station to the neighborhood located off of Colorado Blvd and close to Evans Ave. You can check out the lines and schedules here. You can even hop on Cherry Creek trail close to the neighborhood and enjoy an evening bike ride to Cherry Creek or downtown! If you desire to know more about the Cory Merrill neighborhood, please visit my website and click the “Communities” tab. If you have any neighborhood or real estate questions, I am always available at erin@ruleproperties.com or #303-324-1703.